Earlier this month Lennie and Elizabeth Applequist opened #LOCAL: A Gallery with a Twist on Cottage Street in Easthampton, happily joining the eclectic array of shops, galleries, restaurants, and watering holes that make Easthampton center special. 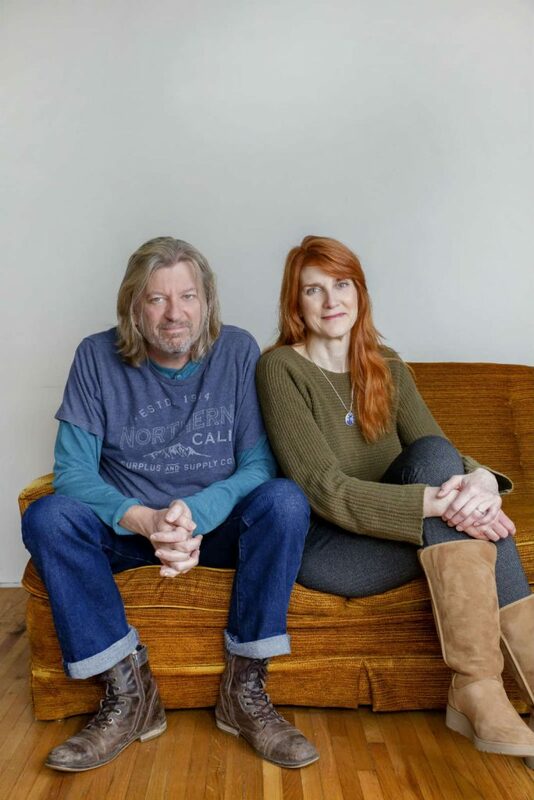 In 2013 the Applequists, a decidedly cosmopolitan couple most recently from California (by way of the rest of the globe), settled in Elizabeth’s beloved hometown of Easthampton. She had left in 1982 and a lot had changed. Indeed, Easthampton had become a vibrant arts friendly community nestled at the foot of the venerable Mount Tom. The town had become a city, and over the years it had gradually moved out of shadow of its big sister Northampton. It had also developed its own unique funky vibe, which attracted artists and artisan businesses. The same year the Applequists arrived, the city capitalized on this organic cultural transformation and applied for cultural district designation with the Mass Cultural Council (MCC), and in July 2013 the Cottage Street Cultural District (CSCD) was established in Easthampton. 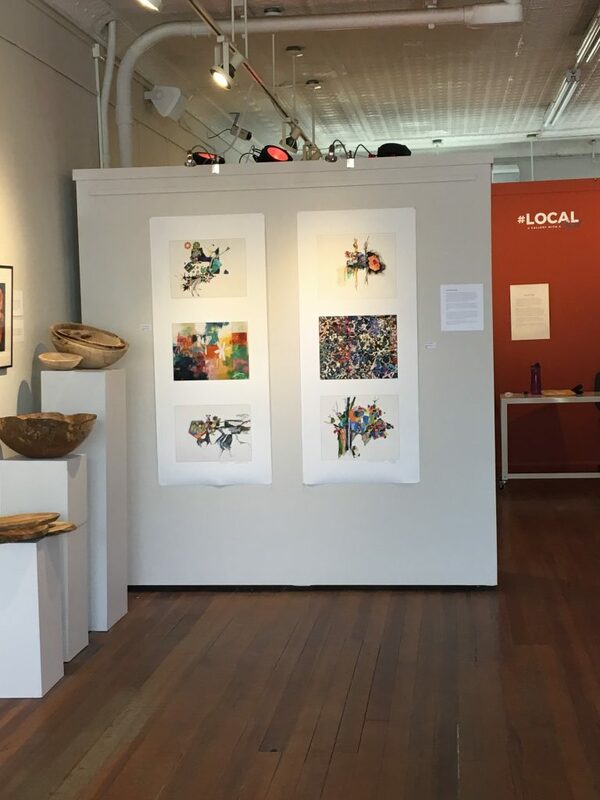 Although Easthampton City Arts (ECA) had been capably leading the charge for establishing more artist spaces in the city for nearly a decade, a cultural district designation by the state was a real coup for the city’s art and culture community. Cultural designation allowed the city access to a range of grant programs and services, as well as a means to increase tourism through marketing. In 2015 the Applequists opened Cider House Media, a successful full service website design and management boutique, and the couple were busily embracing life and the arts in Easthampton. 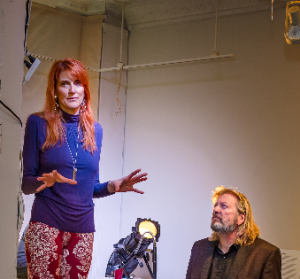 Art had always been something Lennie and Elizabeth loved, and they wanted to be a part of the action; the Cottage Street Cultural District was another way the arts were becoming an integral part of the city. One of the few limitations of the cultural district designation, however, is its geographic boundaries; an area’s walkability is essential for it to earn a cultural district designation. So the CSCD’s boundaries begin and end at Cottage Street. If a business falls outside of the district, it cannot be a member. Cider House Media is located at 28 Northampton Street and is a full 20 minute walk from outside of the CSCD. That didn’t stop the Applequists from taking part in the arts community, however. “Our office has been a venue for Art Walk,” Elizabeth Applequist explains. “Art Walk was a chance for … Cider House to play our small part in bringing art to our local community ….” she says. 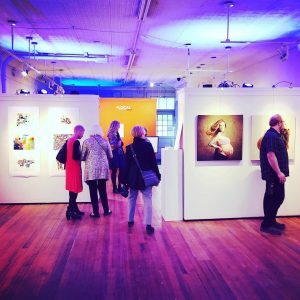 The Applequists created the Cider House Gallery which rotated shows monthly and held the artist’s reception during the night of ECA’s Art Walk which is the second Saturday of every month. The Applequists had a clear vision for their gallery, and they’ve managed to create a gorgeous exhibition space that’s well worth the visit. Tucked in toward the end of Cottage Street, #LOCAL is peculiarly polite and urbane, a wonderful respite in a small town whose agrarian roots are still noticeable parts of its communal fabric. 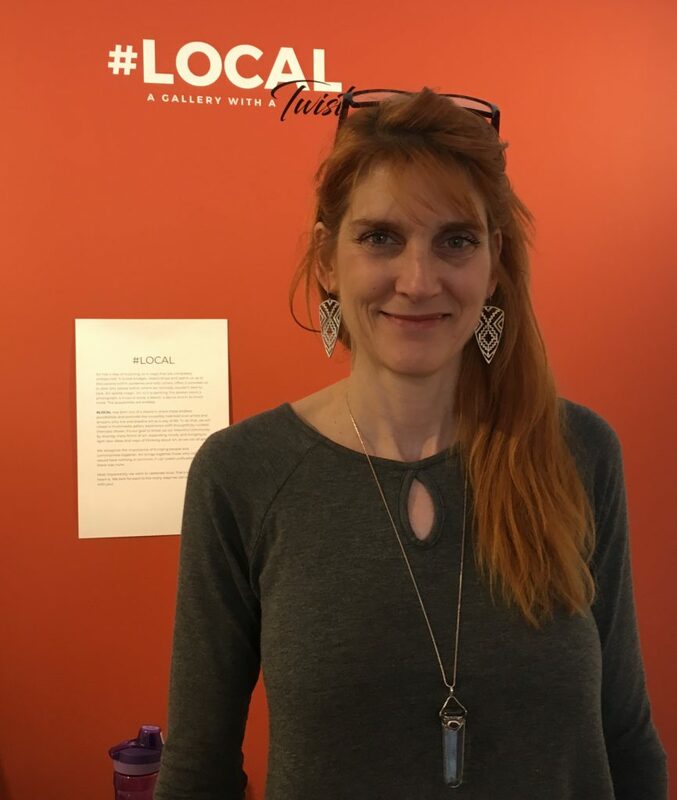 #LOCAL Gallery is a breath of fresh air; the energy of the space is bright and positive and remarkably comfortable, but then it’s not surprising because Elizabeth Applequist, who sometimes minds the shop, is affable, bright, and positive. It’s evident that she and Lennie (a California native who worked as an assistant director and crew on scores of Hollywood films) have fallen in love with the town and are proud to serve it and to be a part of it. Those themes allow for collaboration among artists. 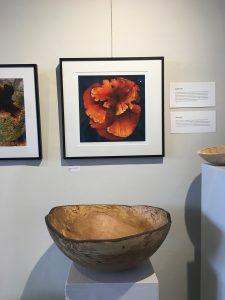 The Applequists, along with photographer Marty Klein, have a series of beautiful photographs that celebrate the “upcycle of life.” The series includes Klein’s image of a mushroom which becomes an element of decaying or spalted wood. 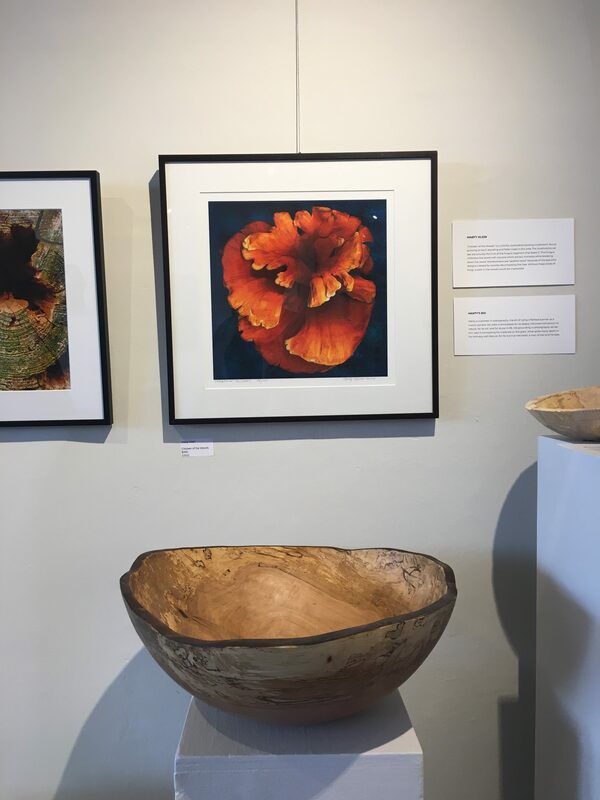 Beneath the images is a small collection of Spencer Peterman wooden bowls made of spalted wood which reflect Klein’s photograph. Spencer Peterman, located in Gill, designs high end wooden bowls and accessories and calls this line of products “upcycling,”as well. It’s that kind of connectedness the Applequists enjoy. Finding commonalities among people and things seems to be a part of their core mission. 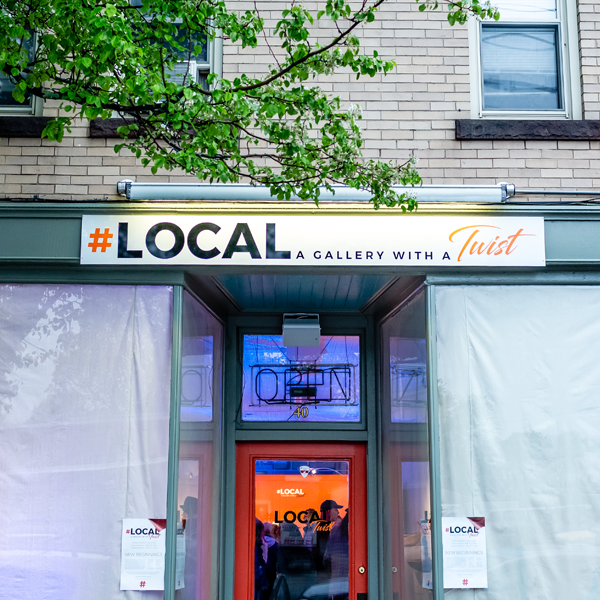 The couple are also interested in providing the viewer a full sensory experience while at #LOCAL. They’ve installed special lighting that mimics the colors of the sky from morning to evening. Each phase creates a natural and calming ambiance. 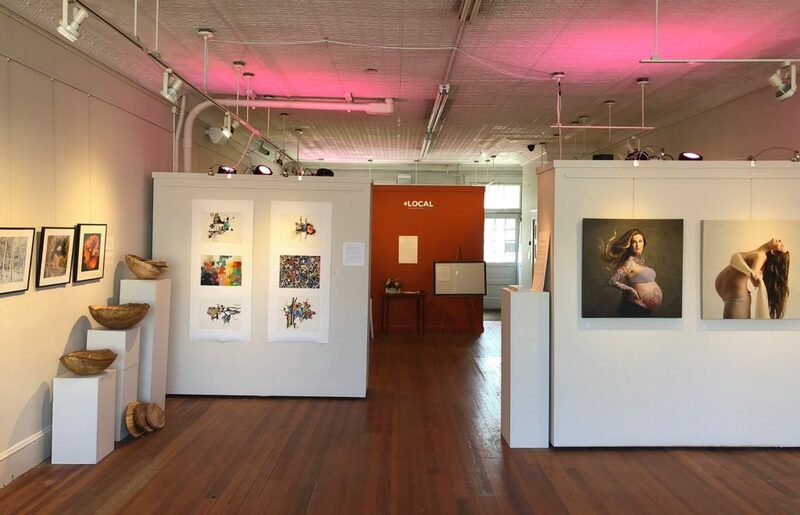 Gallery shows are booked up to November, and they’re excited about what the future holds for the arts and for Easthampton.